Do you need to prepare your business for Brexit but aren’t sure how to go about it? A recent Cumbria Chamber of Commerce survey revealed that 48% of Cumbrian businesses have yet to start Brexit preparations even though there is a real possibility that the UK could leave the EU on March 29th with no withdrawal agreement or transitional arrangements. Many have been reluctant to act because they’re unsure what to plan for or how to go about it. The Chamber’s free Brexit Breakfast Briefing, run in partnership with the law firm Muckle LLP, aims to answer the questions that businesses have been asking. 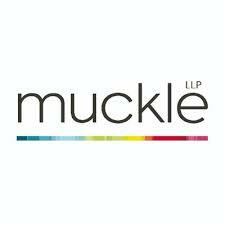 The team at Muckle will help you understand more about the post-Brexit legal landscape and the practical steps that you should take to prepare your business for Brexit Britain. The briefing focuses on the implications of Brexit for businesses, the options on the table for the UK and Muckle’s top tips for Brexit planning. It takes place at Carlisle Racecourse, on Thursday February 28th, from 8am to 10am. To register to attend, click here. Rob Johnston, Chief Executive of Cumbria Chamber of Commerce, said: “We know from our Brexit-preparedness survey that many businesses want to make contingency plans but are unsure how to proceed. “So we’re delighted to be able to call on the legal expertise at Muckle LLP to put flesh on the bones. 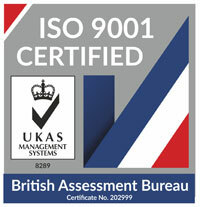 “With the clock ticking inexorably towards March 29th, this event is highly relevant to many businesses. The Chamber’s Brexit-preparedness survey remains open. If you haven’t completed it already, we’d love to get your input. The Department for Business, Energy and Industrial Strategy has asked us to feed in the results to help shape the support they offer to businesses. Although we plan to publish the survey’s findings, all responses are anonymous. Click here to access the Government’s ‘Prepare for EU Exit’ website, which has a wealth of information for businesses on issues such as employing EU citizens; importing, exporting and transporting; operating in the EU; regulations and standards for products and goods; using personal data; European and domestic funding; intellectual property; energy and climate; and public procurement. Click here for a diagnostic tool to help you prepare for EU Exit. This asks seven questions across key business operation areas that will be impacted and then, depending on your answers, pulls together relevant guidance from across government departments. Click here for specific advice on how to prepare for a ‘no deal’ Brexit should the UK leave without a Withdrawal Agreement and the accompanying transition period. Click here for the British Chambers of Commerce’s Brexit hub.